Almost exactly six years ago, Disney shocked the world when it was announced that they had acquired all of Lucasfilm for $4.05 billion. George Lucas was getting out of the Star Wars business and the Mouse House's purchase came with the promise of new movies in a galaxy far, far away, something many thought would never happen. Now, just six years after spending those billions, Disney has turned a profit on their investment, meaning that the franchise should be a cash cow for them for many years to come. 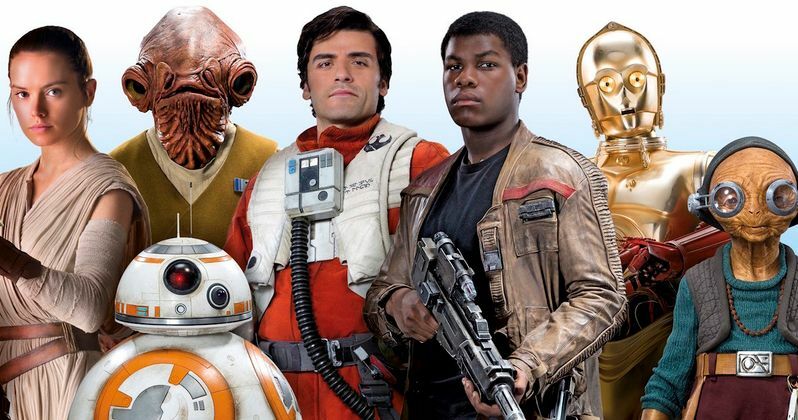 According to a new report, between the box office for the four theatrically released movies since the acquisition, The Force Awakens, Rogue One, The Last Jedi and Solo, merchandising, licensing and other various revenue streams, Disney has more than recouped their $4 billion investment. While exact figures weren't provided in regards to how much money Lucasfilm has made for Disney, as there are a lot of factors to determine such a thing, it's clear that this was a great investment for the company. Paul Dergarabedian, senior media analyst for comScore, went a little further in his assessment. "This was one of the smartest acquisitions in history." To date, the movies released under the Disney regime have grossed $4.83 billion worldwide. That doesn't account for marketing or production costs, but the box office has certainly done a lot to chip away at that initial investment. Solo is really the only misfire so far, as the movie failed to cross the $400 million mark and, thanks to very extensive reshoots, cost an approximated $275 million to produce. Star Wars is generally held to a higher standard, given the name and, were the budget not so out of control, $400 million would be considered a win for many studios. Point being, while many fans have taken issue with the direction of the franchise in certain respects, with The Last Jedi proving to be very divisive, from a business standpoint, this has proved to be a great decision. Other revenue streams include Blu-ray/DVD sales, digital rentals and the money brought in from the animated shows such as Star Wars Rebels and the recently launched Star Wars: Resistance. As for the future? J.J. Abrams is currently filming Star Wars 9, which is the only movie that has an actual release date, set for December 20, 2019. Rian Johnson is currently working on an original trilogy centered on new characters, with Game of Thrones creators David Benioff and D.B. Weiss also working on a new series of movies. The big project right now is the first ever live-action Star Wars TV series, The Mandalorian, which is set to debut on Disney's streaming service next year. Disney is hoping to use Star Wars as a major way to attract subscribers to the service, as they also have a new season of The Clone Wars debuting there as well. Whatever the future holds for Star Wars, at this point, as long as Lucasfilm and company president Kathleen Kennedy can avoid alienating most of the fanbase, everything from this point on will be profit. This news was first reported by CNBC.